NULASS NATIONAL APPLAUDS GOVERNOR AKINWUNMI AMBODE, CHARGES HIM TO DO MORE!!! Solidarity greetings to you from the apex gathering of Students with Lagos State origin. 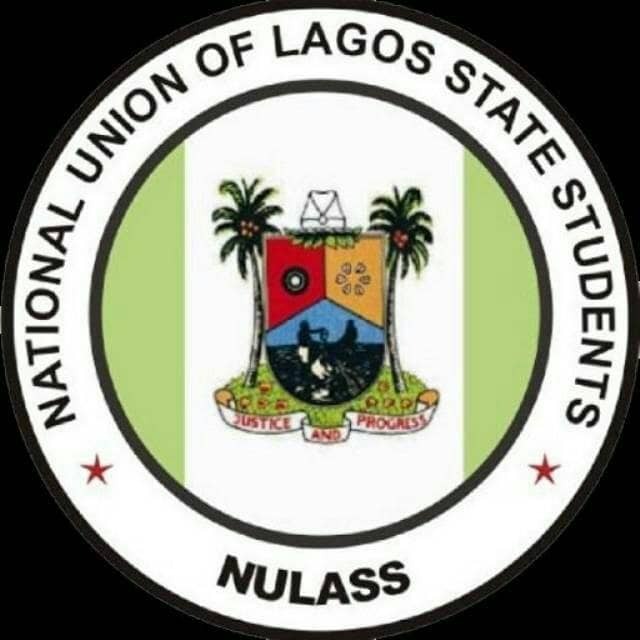 Nulass is the umbrella body of all students of Lagos State origin from Primary school to tertiary institution both withing and outside the county. We acknowledge the effort of the Lagos state government at ensuring prompt payment of our bursary over the years and we must confess that the Governor Akinwunmi Ambode led administration remains second to none in the history of our dear State, Lagos. – The massive infrastructural development cutting across our various tertiary institutions in the state. – The ongoing recruitment of 1200 Teachers for primary and secondary school in the state is a welcomed initiative. – The Ready Set Work (RSW) program for our final year students is a MASTER STROKE FROM YOUR ADMINISTRATION which has help equip our students with needed experience to survive in the Labour market. – The CODE LAGOS initiative of your administration is another big blow. Your excellency, you have proven to us that Lagos state is in safe hands and we assure you THAT WE WILL STAND SIDE BY SIDE WITH YOU TO DEMAND FROM THE TEEMING LAGOS POPULATION THAT THE GOOD WORK GOVERNOR AKINWUNMI AMBODE IS DOING SHOULD CONTINUE BEYOND 2019. We the Lagos state Students have taken it upon ourselves to embark on various orientations, seminars, awareness and other mind awakening programs to ensuring that students see the light in your administration and never derail from it. In a bid to ensuring this, we have taken it upon ourselves to ensure students above the age of 18 register with INEC at various registration centres to enable them VOTE. Also, we have organized quality seminars and orientations that has opened people’s mind to the good in your administration so far and I must confess, it has been a welcomed idea over time. While we are appreciating you for all you have done and continue to do within our constituency, we are also using this medium “LIKE OLIVER TWIST” to implore you to do more for us in terms of funding and prompt payment of our Bursaries and Scholarships especially before the commencement of the new Academic Session knowing full well that these are being spent judiciously in augmenting tuition fees for our academic pursuit. New Academic Session Starts this September and we are APPEALING to you for the APPROVAL AND PROMPT DISBURSEMENT of our Bursaries and Schorlaships for this year so as to meet up with needed academic demands of our members. We can’t wrap up this text without Appreciating our Honorable Special Adviser on Education Mr Obafela Bank-Olemoh and our ever willing and Listening Executive Secretary of the Lagos State Schorlaship Board Mr Steven Oshinowo and His Staffs over the conduct of the Last Screening Exercise for bursaries and Schorlaship and to also Charge them that to Whom much is given, Much is expected and the Reward for Hard Work is more work. The Lagos state students believe in you and are sure that you have good intentions for us and would never neglect us. You have done it over time and we believe you can do more. We anticipate a favorable and timely response sir.